Set in Russia and New York during the early twentieth century, Beyond the Pale follows the lives of two women born in a Russian-Jewish settlement who immigrate to New York’s Lower East Side. 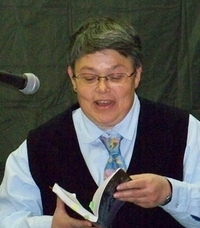 Gutke Gurvich is a midwife who travels to America with her partner, a woman passing as a man. Their story crosses with that of Chava Meyer, a girl who was attended by Gutke at her birth and was later orphaned during the Kishinev pogrom of 1903. Chava immigrates with the family of her cousin Rose, and the two girls begin working at fourteen as they live through the oppression and tragedies of their time. They grow to become lovers, which leads them to search for a community they can truly call their own. 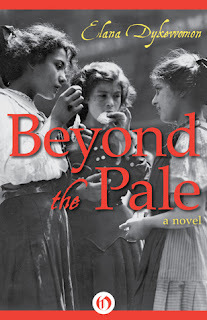 Touching on the hallmarks of the Progressive Era—the Women’s Trade Union League, the Triangle Shirtwaist Factory Fire of 1911, anarchist and socialist movements, women’s suffrage, anti-Semitism—Dykewomon’s Beyond the Pale is a richly detailed and moving story, offering a glimpse into a world that is often overlooked. I feel honored to have read Beyond the Pale. It was rich, engrossing, painful, powerful, and gorgeous. This book is an out-and-out tour de force. There's no way that I can recommend it highly enough. Read an excerpt from Beyond the Pale here. I've been really into novels set during the Progressive Era this year. I'll have to add this one to my list, especially since you enjoyed it so much! I can't recommend it enough girl! I really think you'll love it! I hadn't heard about this book but it sounds fabulous. Glad to hear that you recommend it. Beyond the Pale sounds amazing. This is not an era I know much about. Thanks for the recommendation. I'm such a geek for early 20th century history, especially women's history, so this sounds fabulous. You'd be bonkers for this one Shannon :D Geek out! Sounds fabulous! Kind of like... If we followed what happened to the young daughters in Fiddler on the Roof into their American lives... Fascinating! You've used the word that came to mind after that summary, engrossing. It sounds it. The story and the era together. Fantastic writing, fantastic story, fantastic characters. :) You can't go wrong! Great review - I hadn't seen this one around and I'm glad you brought it to my attention. It's definitely one I'll be reading. Thanks for the high recommendation, I will check out the book on goodreads!